When in the process of purchasing a home, home buyers are often inundated with an abundance of mortgage “lingo” which can be quite confusing, and at times, even frustrating. Having the knowledge of all of the acronyms, abbreviations, and mortgage jargon will allow you to feel more comfortable when you hear these terms. This refers to a loan where the interest rate changes from time to time based on a standard financial indicator. This differs from a fixed-rate mortgage that remains the same over the life of the loan. Typically higher than your interest rate because of extra fees, the APR reflects the interest rate, points, fees and any other potential charges needed to get your loan. This is a ratio of you housing expenses and your monthly debt obligation compared to how much you earn and is utilized to measure whether or not you will be able to afford the mortgage. This is a “written” estimate of the expected closing costs which are provided by the lender within three (3) days after your loan application has been submitted. The “principal” refers to the actual amount of your loan that you will be paying each month. The “interest” is the amount the lender is charging for your loan. The “taxes” are the real estate taxes might be paid as part of your monthly payment and passed on to the local municipality to pay for things such as schools, roads, police, and possible other services. Finally, the “insurance” is your homeowner’s insurance premium that may be collected by your lender and paid to your insurance company. 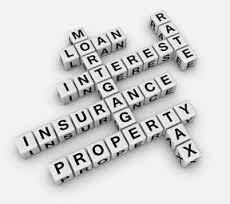 This refers to an insurance policy on your conventional loan which protects the lender if the homeowner defaults. Usually, PMI is required if you down payment is less than 20% of the price of the home you are planning to purchase. Your PMI would be paid in monthly installments. In addition, your PMI can be canceled when you have built up 20% equity in your home if your monthly payments are up to date. This is a ratio of your loan amount compared to the value of your home and is used by lenders to determine the mortgage rate you are qualified for. Your lender will divide your loan amount by the lesser of the home’s appraised value or purchase price. This says that you have the right to inspect the closing statement one day prior to closing. This form is a standardized, government-mandated statement which is used to itemize fees charged to you when you purchase or refinance real estate. If you have any questions about the mortgage industry, please give me a call and we can discuss what is on your mind.